Do these little “stalagtites” of paint have a name? I would like to distinguish them from, say, the drops of paint which drip from a painted ceiling, and have detached entirely from the mother smear. If you accidentally repaint a car too quickly, without proper flash times, huge paint sags and runs can flow down and ruin the finish, especially on vertical panels. sag noun 2a. A sagging or drooping part or area: tried to brush out the paint sags. They're also often called paint runs. 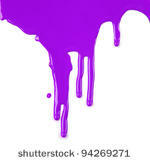 In the graffiti culture they are just called drips, and are often used intentionally for artistic effect. We grew up calling them 'holidays'. Holidays: Application defect whereby small areas are left uncoated. Synonyms: Misses, Skips, Voids, Discontinuities, Vacations. Runs, sags, curtains, or wrinkles may be caused or worsened by: applying the coating too thickly, using too much thinner or using the wrong thinner, surface too hot to apply the coating, applying a coating at the end of its pot life, wrong thixotrope used in manufacturing , improper spray technique. 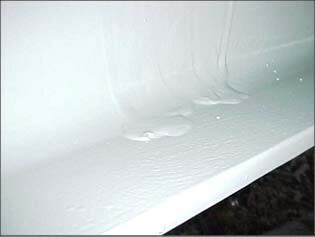 These defects are exposed areas of the substrate or previous coating, caused by poor application technique, lack of stripe coating, and/or lack of or poor inspection. Quick recognition and repair means the repair is easier and it will blend in better. If the drips or ‘sags’ are large then the term curtains, used in the painting industry, is also appropriate. Is There a Name for the Lines of an Arrowhead? Are there words for these? Name for these kinds of “sayings”?